In 1998, Baseline Engineering Corporation was formed to fill a void and to stand out in a sea of engineering consultant companies. Since the profession is so heavily dependent on employees, it made sense to create a company with an incredible work environment. We’ve accomplished that at Baseline. Our founding principles encourage us to continuously guide and motivate employees. Baseline’s employee-driven culture transfers into exceeding our clients’ expectations. Every employee has ownership in providing service that’s more responsive, flexible, attentive to budget limits, and lives up to Baseline’s commitments. This philosophy has enabled us to become a leader in the region and expand our engineering, planning, and surveying services. It has also allowed us to maintain a small-firm feel while providing big-firm experience. We are proud of the positive feedback we receive from our clients and employees. However, we don’t take it for granted. We continuously look for new strategies to perfect our service. If you share our mission, please join us. Please submit your resume for the following openings. Vacation – 2 weeks at year 1, 3 weeks at year 3, etc. Baseline is committed to its employees and the communities/clients it supports. 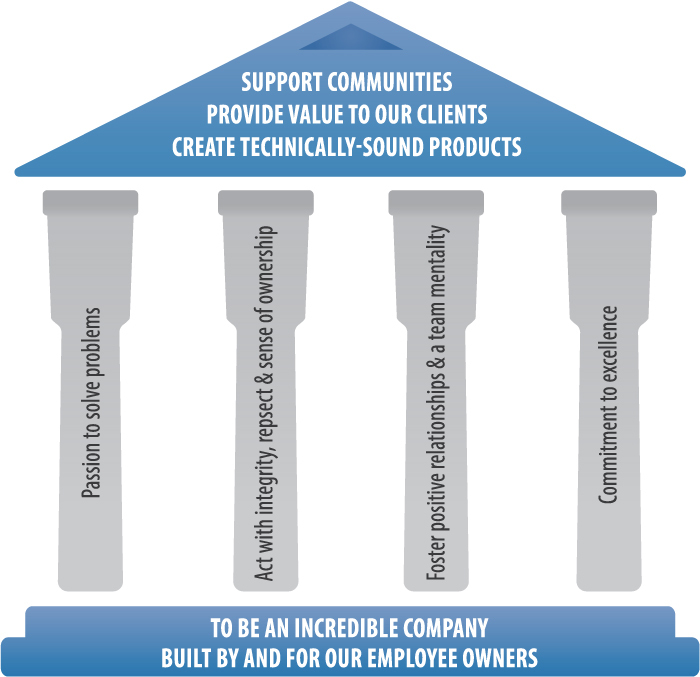 With these in mind, the following graphic depicts the why, how, and what that creates Baseline’s foundation, drivers, and mission of our incredible company. To be an incredible company built by and for our employee owners. 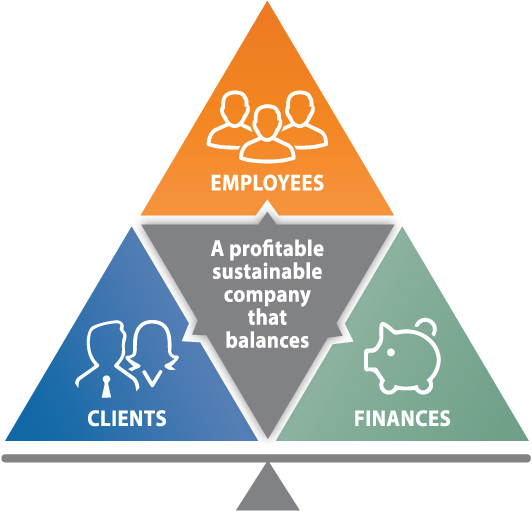 When combined, Baseline becomes a profitable, sustainable company that balances — a balance that is in-sync between its employees, clients, and finances. If any of the three items shifts, the balance also shifts.